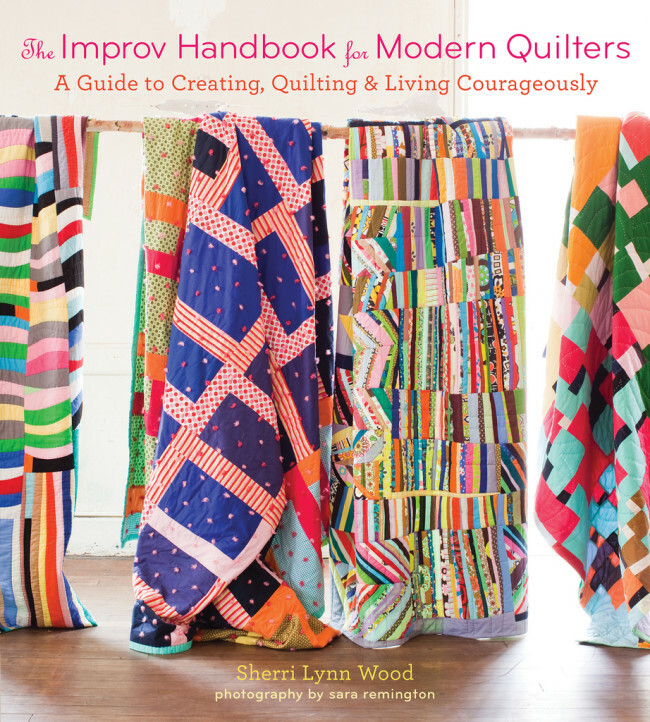 New Hampshire Modern Quilt Guild: Sherri Lynn Wood is coming!!! How exciting! Sherri Lynn Wood is coming to New Hampshire, Sat. May 2nd! workshop will begin Promptly at 9:00am! Sharp sewing scissors – We will be using scissors a lot in this workshop – make sure to bring a good quality 7”- 8” pair of sewing shears with a sharp edge. OPTIONAL: Rotary cutter and self-healing mat. NO RULERS. Two to three ¾ yard selvage-to-selvage cuts of different valued fabrics – prints and/or solids. You will cut bias strips from this to share with the class. Several large pieces of fabric for your curve shapes. Fat quarters, 18” x 22” will work as the minimum size. You may want to go larger. Bring a range of prints and solids, hues and values that will support your creative freedom. Do not come with a coordinated color scheme. Arrive early to set up your workstation. Class will start on time! You may wish to bring a snack. Lunch and a good time will be provided!